Nestled in a hillside and topped with lush grass and flowers, it's easy to see why this venue is popular for weddings. 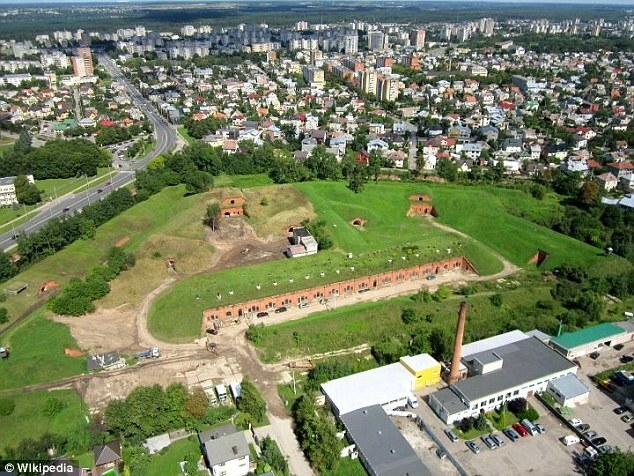 But Kaunas' Seventh Fort in Zaliakalnis, Lithuania, an 18-acre complex which dates back to 1882, happens to also to harbour a dark history as a Nazi concentration camp where up to 5,000 Jews died during World War II. It was purchased by Lithuanian non-profit organisation Military Heritage Centre in 2009, and is now available to hire for parties, conferences and kids' camps - a move which has been described as 'shocking and disgusting' by a Holocaust commemoration group. The establishment - initially a 19th century defensive fortification - charges €3.50 (£2.93) for adults and €1.75 (£1.46) for students, seniors and disabled people, and offers guided tours to educate visitors about its legacy. According to its website, as well as being a 'unique' party venue, the goal of the Seventh Fort is to provide 'visitors more knowledge about the different historical periods'. One of its activity options is a 'military-themed birthday party' costing €115 , during which children can 'search for treasure in a completely secret mission'. Not everyone is happy about the use of the Seventh Fort as a centre for entertainment. 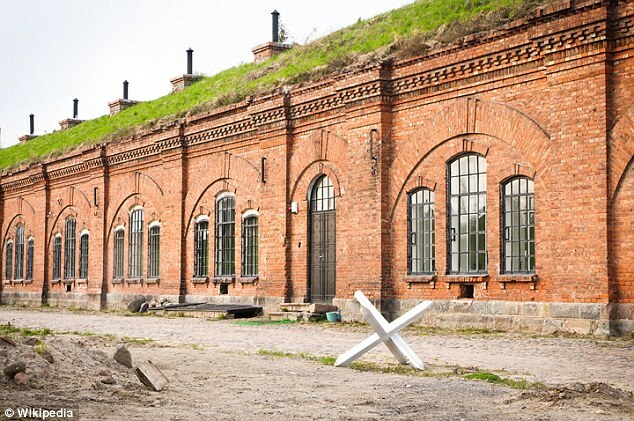 Jonny Daniels, founder of From the Depths, a Holocaust commemoration group in Poland, told the Jewish Telegraphic Agency that he was 'shocked and disgusted' during his visit to the Seventh Fort this month. In 1941, the Seventh Fort became a concentration camp. Around 95 percent of the country’s Jews were slaughtered in the summer of 1942. Graves of the victims were discovered in the right wing of the fort during its reconstruction in 2011 and are now marked with poles. Another of the events the Seventh Fort offers is a week-long kid's camp for participants aged between seven and 14. The website description reads, 'In our Fort children can not only spent [sic] their time having fun,' but also 'to acquire knowledge'. MailOnline Travel has contacted the establishment for comment.